Cynthia B. Chepke, 56, formerly of West Gardiner, will spend 2 1/2 years in prison for robbing a Farmingdale convenience store in January. AUGUSTA — Before robbing a Farmingdale convenience store in January, Cynthia Chepke relapsed into drug addiction after 15 years of sobriety, she said before getting two and a half years in prison today. 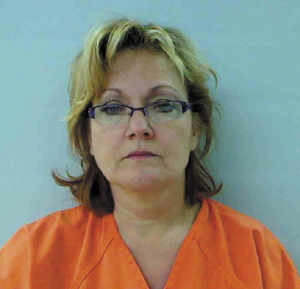 After waiving a jury trial, Chepke, 56, formerly of West Gardiner and now of Augusta, pleaded guilty to one felony robbery charge and one misdemeanor theft charge in Kennebec County Superior Court, waiving her right to a jury trial. Police released this video surveillance image of Cynthia Chepke, 48, formerly of West Gardiner, who robbed the Circle K in Farmingdale on Jan. 27. Justice Donald Marden gave Chepke an eight-year sentence, all but 30 months of which was suspended, to be followed by three years of probation, including restitution and substance-abuse counseling. Assistant District Attorney Joelle Pratt said the crime, a Jan. 27 robbery at Circle K on Farmingdale’s Maine Avenue, was motivated by Chepke’s addiction to crack cocaine and heroin. Before the sentence, Chepke, a mother of four and grandmother of two, said she was deeply remorseful for her actions. She said three years ago, after a divorce and the death of her mother, she relapsed into addiction, which she also struggled with as long ago as her 20s. “The disease of addiction is between reality and pain,” Chepke said. Chepke was indicted by a grand jury and arrested in May. Days after posting bail, she was arrested by Augusta police on a drunken-driving charge, the second in her lifetime. She has been jailed since then, because she violated bail with that incident, Pratt said. An affidavit filed by Detective David Bucknam of the Kennebec County Sheriff’s Office says Chepke used a handgun to threaten a clerk at the store, stealing an unspecified amount of cash, though Pratt asked for $280 in restitution. 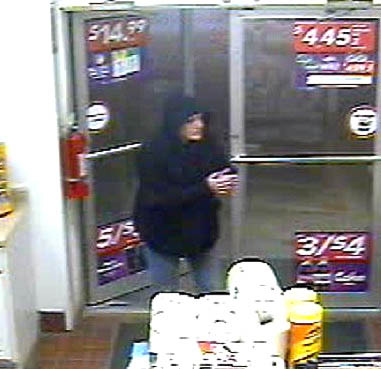 The robber was described as a woman wearing a black jacket over a hoodie. While Chepke’s attorney, Luann Calcagni, said her client “did not brandish a weapon,” Pratt said she walked from one end of the convenience store to the other with what looked like a handgun pointed at a cashier’s face. After the robbery, police used a dog to track a trail of high-heeled boot prints in the snow near the store, finding a discarded black jacket in a Dumpster near a Maine Avenue parking lot that was later matched to Chepke. Bucknam also wrote that an Augusta man admitted picking up Chepke near the site of the robbery that night, taking her to an apartment in east Augusta. Chepke, he said, gave him a $20 bill for his trouble. At investigators’ direction, that man made phone calls to Chepke that were recorded. In one, she tells him, “You didn’t see no gun, and you don’t know nothing yo,” Bucknam’s affidavit says. Later, Pratt said Chepke told officers that robbing the convenience store wasn’t a “big deal,” since it wasn’t a bank. Chepke’s 17-year-old daughter, Lillian, a junior at Gardiner Area High School, also spoke on her mother’s behalf, reading letters from her siblings, who weren’t there. Lillian Chepke said she’s been helping her older sister with wedding planning in her mother’s absence. Cynthia Chepke missed her son’s high-school graduation earlier this year, her daughter said, along with Lillian’s field hockey games this fall. Calcagni said the incident was out of character for Chepke, who said she is an ordained pastor and said finding religion was a main reason she beat addiction earlier in her life and wants to continue ministry, perhaps to prisoners. And Marden, explaining his sentence, said along with Chepke’s past addiction, her faith was an aggravating factor in the crime.